Bookmarks are a great way to advertise, fill an event goodie bag, or remind someone everytime they pick up their book that you care for them. We have created bookmarks for school teachers trying to re-iterate basic lessons to their students when they pickup a book. We have created bookmarks for libraries or bookstores as handouts for visitors to remind them of upcoming events or library hours. 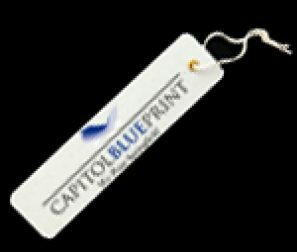 We have created bookmarks for businesses looking for a unique way to keep their business name in front of target customers. We can produce bookmarks to be a cost-effective way for you to get your message across. We've done soooo many bookmarks we've actually thought about changing our name to Capitol Book Marks!